Here’s a brand new product from JavaGear, creators of the JavaJug. 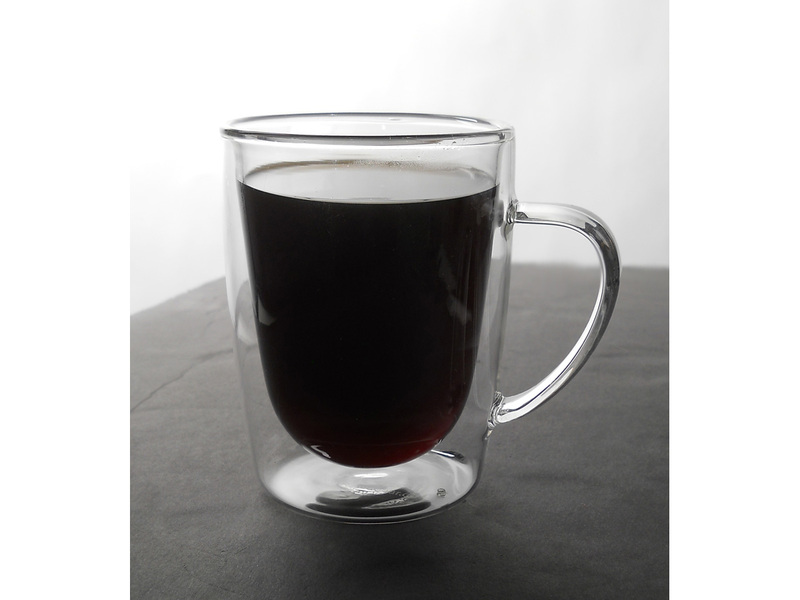 The Javiere Double Wall Glass Mug is a double-wall glass mug designed explicitly to be used with the AeroPress. Not only is it beautiful, it helps keep warm drinks warm and cool drinks cool. How is it different from other double-wall glass designs? Most other double-wall cups and mugs have narrow bases, making them unstable for pressing. Or their top openings are too small to fit the AeroPress filter cap inside, so you can’t press at all. Still others have tops that are just too wide, making it difficult to keep the AeroPress centred on the cup while pressing. The Javiere changes all that. 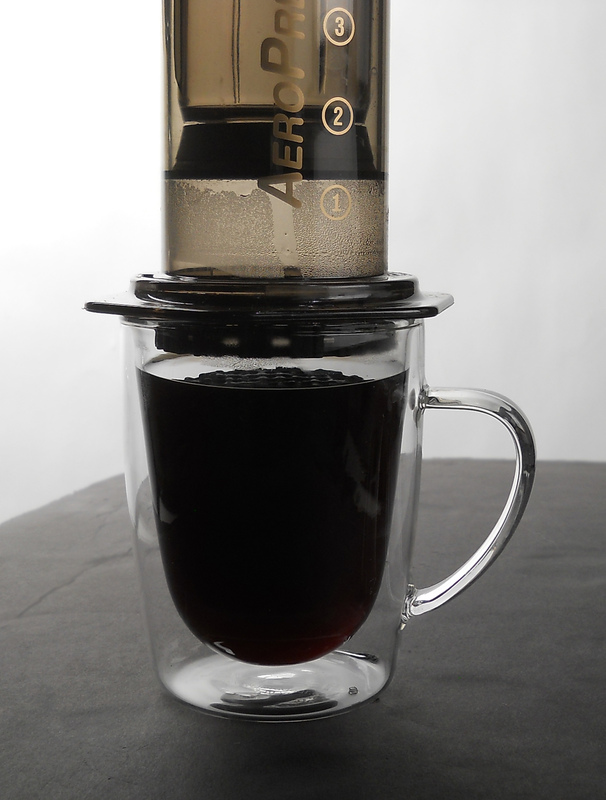 Its clean, simple design is strong and stable enough to press coffee into using an AeroPress. It incorporates an elegant curved handle to help you keep a secure hold on it when washing and handling. Individually mouth-blown from borosilicate glass by expert artisans, the Javiere Double Wall Mug holds 11 ounces (325 ml.) of coffee. We recommend hand-washing the Javiere, but if you are careful you can put it in the top rack of your dishwasher. It’s microwave safe as well. 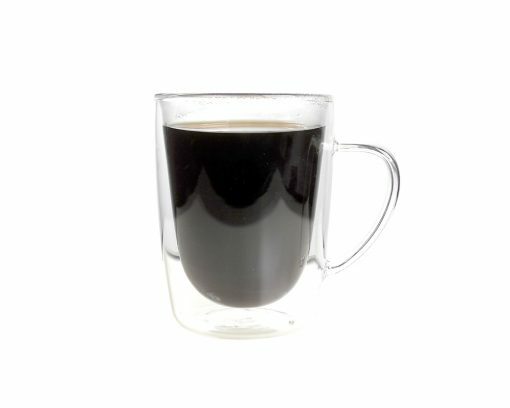 You do need to take extra care with double-wall mugs, because although the glass is strong, it’s also thin. This means you should avoid using metal spoons when stirring, and don’t tap metal objects on the rim, to avoid cracking. Also, when making iced drinks, remember to add liquid first and then ice afterwards, to avoid impacting the glass. Ice is hard!